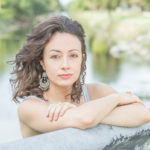 Jennine Capó Crucet is the author of the novel Make Your Home Among Strangers (St. Martin’s Press, 2015) and the story collection How to Leave Hialeah. The recipient of the Iowa Short Fiction Prize, the John Gardner Book Award, and the Devil’s Kitchen Reading Award, her writing has appeared in The New York Times, The Los Angeles Review, Epoch, Prairie Schooner, Ploughshares, and other magazines. A winner of an O. Henry Prize and the Picador Fellowship, she’s originally from Miami and works as an assistant professor of English and Ethnic Studies at the University of Nebraska in Lincoln.